darkSpyro - Spyro and Skylanders Forum - Site Polls - What was your favourite Spyro the Dragon homeworld? 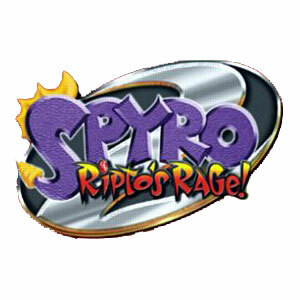 darkSpyro - Spyro and Skylanders Forum > Site Polls > What was your favourite Spyro the Dragon homeworld? What was your favourite Spyro the Dragon homeworld? Today marks the 20th anniversary of the release of Spyro the Dragon on the PlayStation on the 9th of September 1998 so it's about time to get back to some classic Spyro poll questions! Kicking things off naturally with a repeat of very first poll: which of the six homeworlds of Spyro the Dragon is your favourite? Artisans comes a very close second. Okay but, we need to know YOUR opinion Dark! Magic Crafters, mostly because I really like all the supercharge stuff. Dream Weavers! It's the most trippy and fantastical homeworld and I thought it was very interesting! It was a hard choice between that and Magic Crafters though! Yo, DEADASS?? BANANAS ARE DEAD??? Artisans. It's really nostalgic to play. The choice was harder than I though, but every time I think about this series the first thing which comes to my mind is the very first part of Magic Crafters where you have to jump across the glowing blue paddles of water with the music playing. It’s even more nostalgic than Artisans, somehow. Beast makers was my choice!